I posted another manuscript off to my publisher this week. It’s titled ‘Stories From Bondi‘. I completed an earlier, much shorter version of this book as part of a Masters in Writing at UTS back in 2001. Fingers crossed Ginninderra Press like this collection. I’ve mentioned before how it took me 18 years of writing and 5 completed manuscripts before I finally had a book accepted by a publisher. 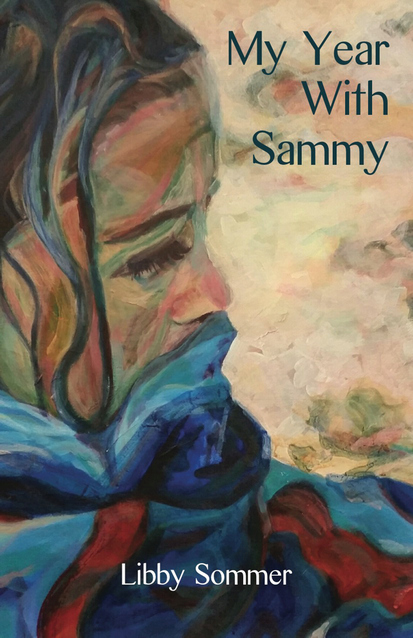 So now I have a small but prestigious publisher Ginninderra Press who like my work I’m submitting my manuscripts backwards: numbers 5, 4 and 3 have been published: ‘My Year With Sammy’, ‘The Crystal Ballroom’, ‘The Usual Story’. Number 2 is ‘Stories From Bondi’. 80% of the short stories were first published in literary journals, including Quadrant and Overland. Writing a book is a long, long, time-consuming process that requires a super-human amount of persistence and perseverance and dedication to the craft. It’s such a buzz to finally get my work out into the world. Sometimes there is a person in one of my creative writing classes who is obviously very talented. I can bring to mind one in particular. You could sense people holding their breath as she read, and often her hands shook. The writing process opened her up. She said she had wanted to write for years. She was so excited about writing that she straight away wanted to write a book. I said to her, slow down. Just practise writing for a while. Learn what this is all about. In Japan becoming an itamae of sushi requires years of on-the-job training and apprenticeship. After five years spent working with a master or teacher itamae, the apprentice is given his first important task, the preparation of the sushi rice. Writing, like becoming a Sushi Chef, is a life’s work and takes a lot of practice. The process is slow, and at the start you are not sure what you are making. That’s how it was for me. I thought I could jump in and write a book in 6 months. In fact, it was 14 years and 5 books before one of my manuscripts was accepted for publication. So cut yourself some slack before you head off on a writing marathon. Writing is like learning to prepare the rice for sushi: the apprenticeship is long, and in the beginning you are not sure whether a Futomaki, a Uramaki or a Temaki will be the end result. A change of scene does wonders, especially after all the work and excitement of launching a new book. Writing a book is hard work. Even though it is very challenging, we know it is what we were born to do. After we’ve written the book, edited it, submitted to a publisher, had discussions about cover design, created the back cover blurb, obtained reviews, networked, self-promoted, updated the websites, promoted on Instagram, Facebook and Word Press, organised a launch and readings, it’s only natural to find ourselves exhausted. Before our batteries are totally flat, we need to give ourselves permission to take some time-out. We need to walk away from the desk. Do something that will breathe fresh life into our work and feed our creative souls. After the release of THE USUAL STORY, I caught a train to the seaside town of Kiama and had two days to walk by the ocean and breath in the fresh sea air. Fantastic. Sometimes when people read my stories they assume those stories are me. They are not me, even if I write in the first person. They were my thoughts and feelings at the time I wrote them. But every minute we are all changing. There is a great freedom in this. At any time we can let go of our old selves and start again. This is the writing process. Instead of blocking us, it gives us permission to move on. Just like in a progressive ballroom dance: you give your undivided attention to your partner—keep eye contact for the time you are dancing together—but then you move on to the next person in the circle. The ability to express yourself on the page—to write how you feel about an old lover, a favourite pair of dance shoes, or the memory of a dance on a chilly winter’s night in the Southern Highlands—that moment you can support how you feel inside with what you say on the page. You experience a great freedom because you are not suppressing those feelings. You have accepted them, aligned yourself with them. I have a poem titled ‘This is what it feels like’—it’s a short poem. I always think of it with gratitude because I was able to write in a powerful way how it was to be desperate and frightened. The act of self expression made me feel less of a victim. But when people read it they often say nothing. I remind myself, I am not the poem, I am not the stories I write. People react from where they are in their own lives. That’s the way things are. The strength is in the act of writing, of putting pen to paper. Write your stories and poems, show them to the world, then move on. The stories are not you. They are moments in time that pass through you. I hope these thoughts are useful. Do you have anything you would add? Let me know in the comments and please share this post with a friend if you enjoyed it. terrify, for no apparent reason. like lead in the chest. but where the hell is the brake?